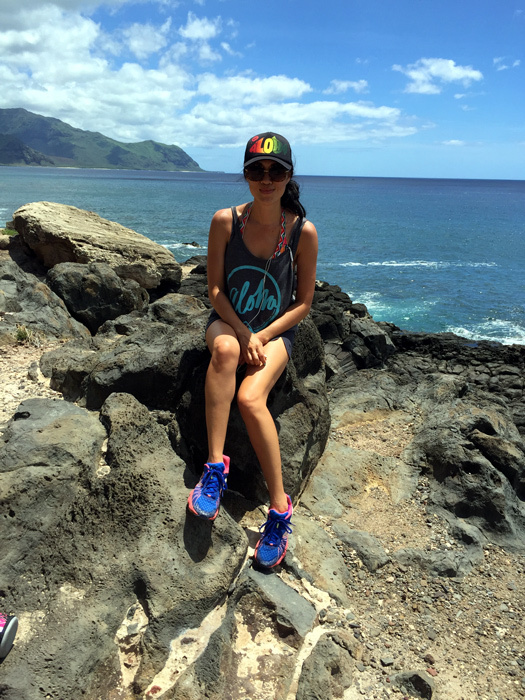 a few weeks ago, we ventured to the west side of oahu to ka'ena point. 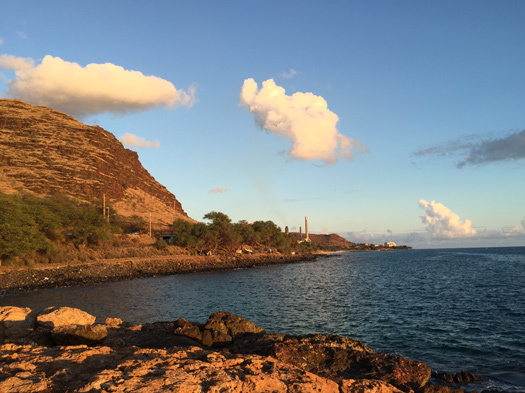 here's our adventure in photos. 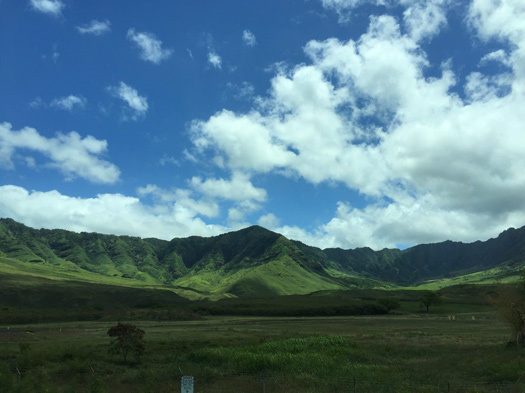 the drive...the wai'anae mountain range was so green! 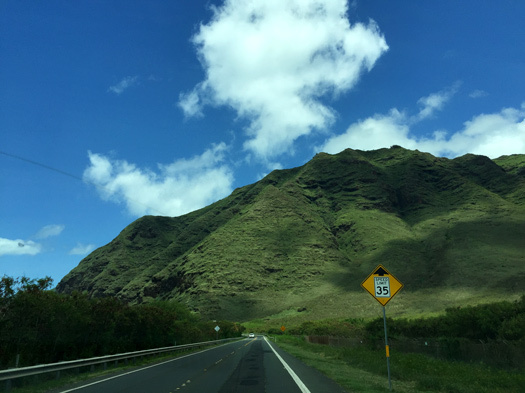 keep driving to the end of the (paved) road. there are two ways to get to the point. 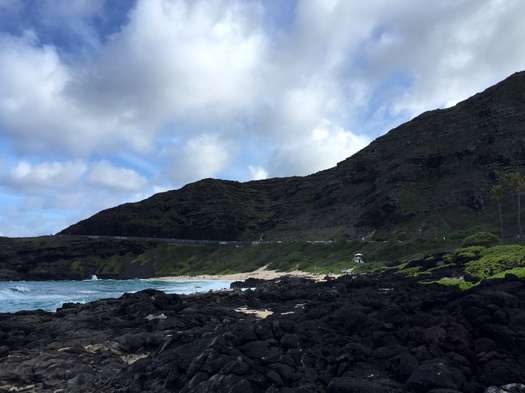 we hiked the trail from the south. 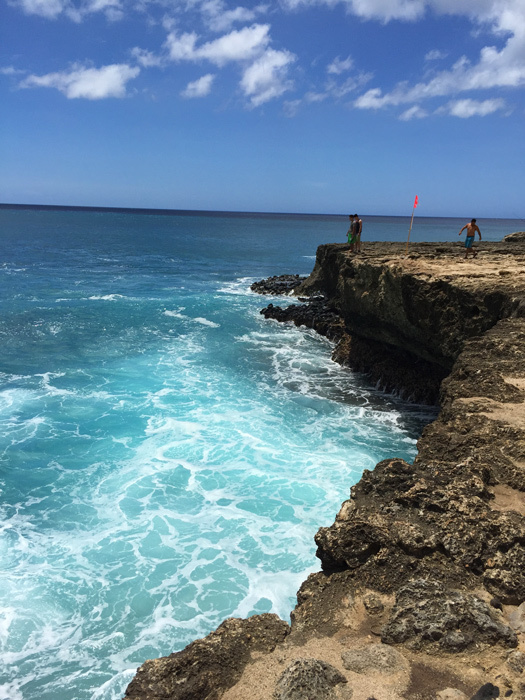 as you can see from the photos below, the trail is narrow and mostly rocky cliffs. 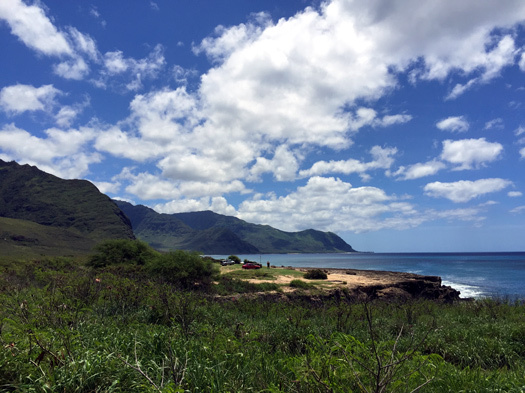 hiking from the north, the trail is more inland with sandy spots along the way where you can swim. everyone has their preference. both ways are about the same distance roundtrip - about 5-6 miles. next, i'd like to try the north trail. let's do this! this is the beginning of the trail. 4-wheel trucks can drive in part of the way, although i wouldn't advise doing so unless you are experienced in off-roading. these guys were filming a show. three hours later on our way back, they were still there. poor guys were sunburned and looked so hot! and these guys jumped into this "washing machine"! talk about crazy. 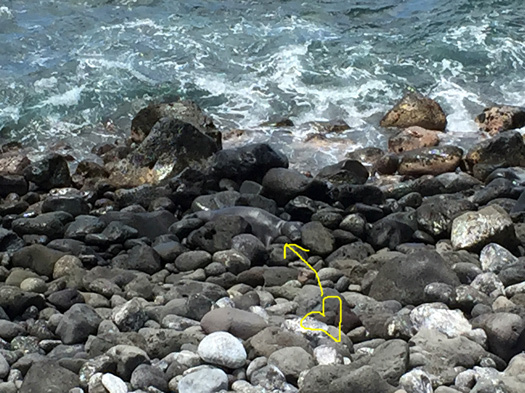 can you spot the hawaiian monk seal? he looks just like the rocks! 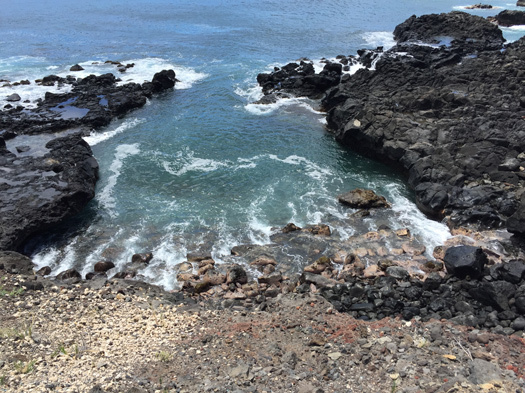 about mid-way, there is a blowhole that sounds like a dragon. i didn't know about it beforehand, so i wasn't expecting it. we didn't see the hole, but as we looked around, it seemed as though the sound was following us. 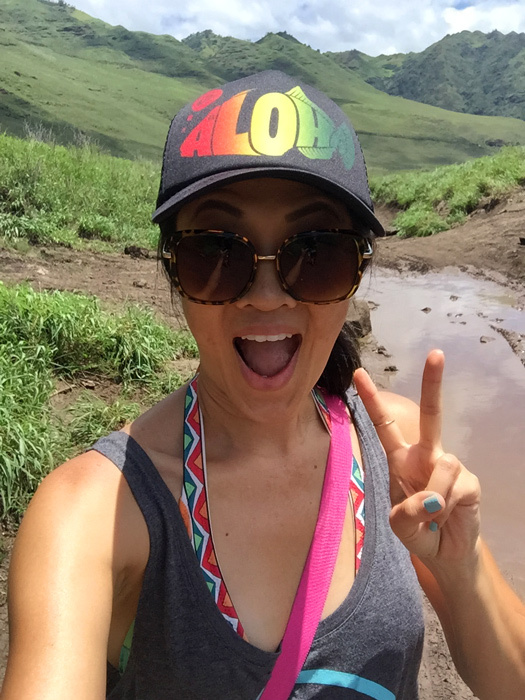 it was a little scary...i mean, with all the hawaiian legends, you never know! let's just say i was happy to get home and read about it! 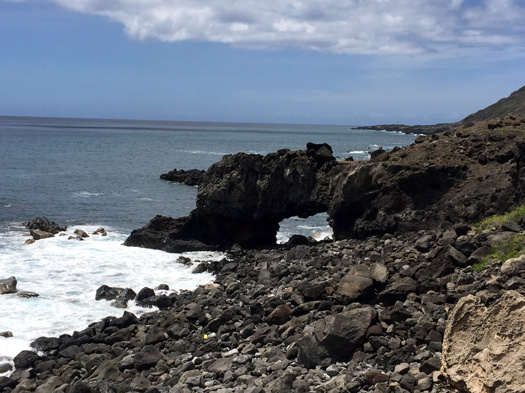 this gate runs across the entire tip of the island. no cars or animals (dogs) are allowed past the gate. 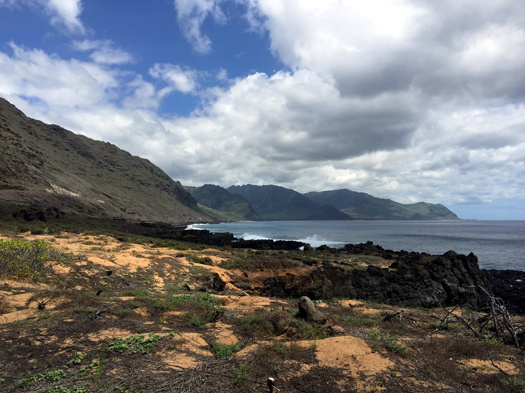 on the other side is a bird sanctuary for albatross. 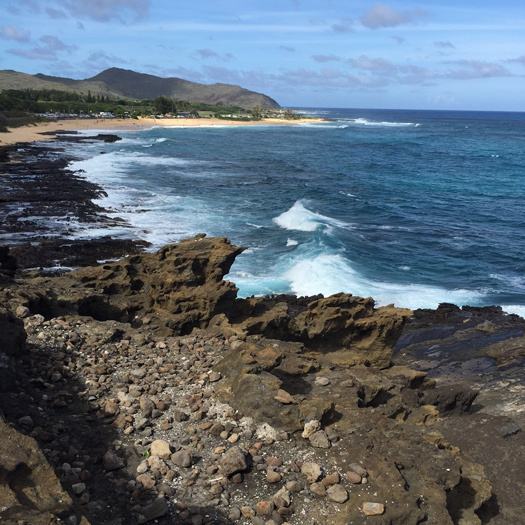 ka'ena point - the most western tip of oahu. you can see little mounds on the ground which are the birds' nests. 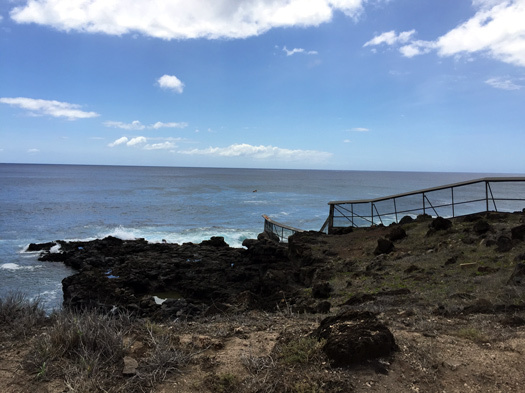 most of the area is roped off with a path to access the ocean and see the monk seals. 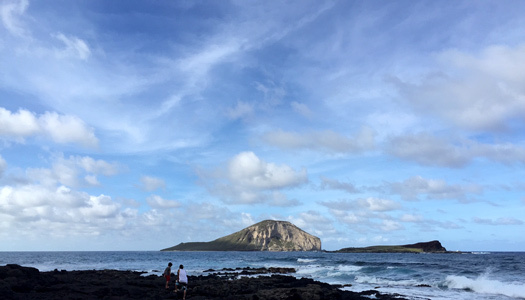 view from the point looking south toward wai'anae. 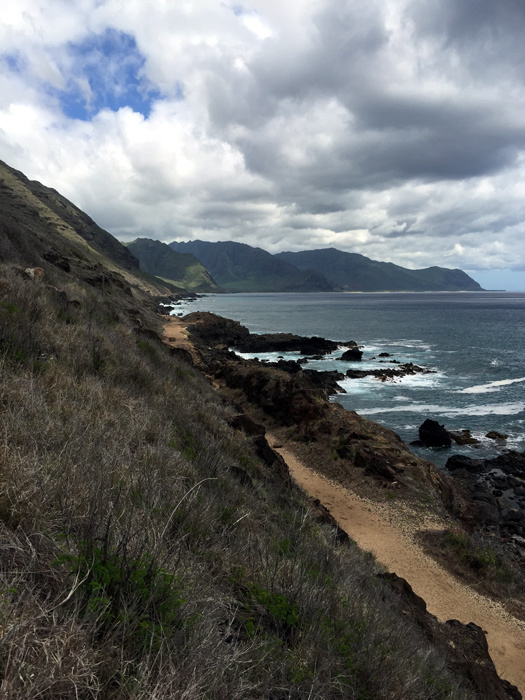 this is what the south trail looks like most of the way...flat, but rocky and right along the coastline. the hike will take about 3-4 hours. 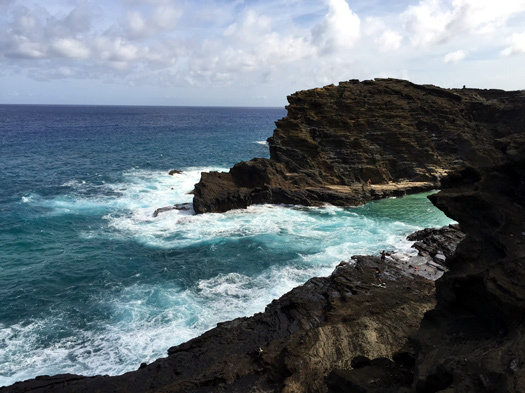 it took us about 1.5 hrs to reach the point, but that was at a leisurely pace with a lot of stops along the way to explore and take pictures. 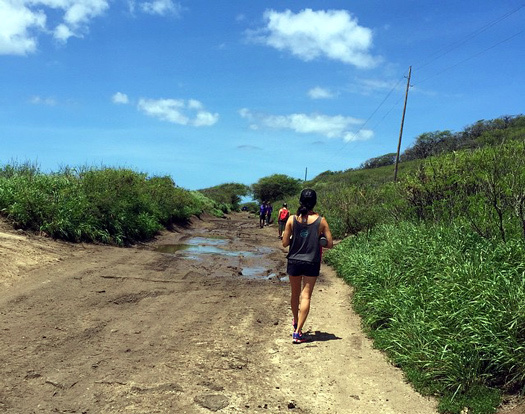 things to consider: this trail is fairly easy (flat), but long (bring lots of water). it is rocky (wear good shoes). it is hot (wear sunscreen/hat), even if it is overcast. i brought my sahara 1.0L water bottle and ran out towards the end. 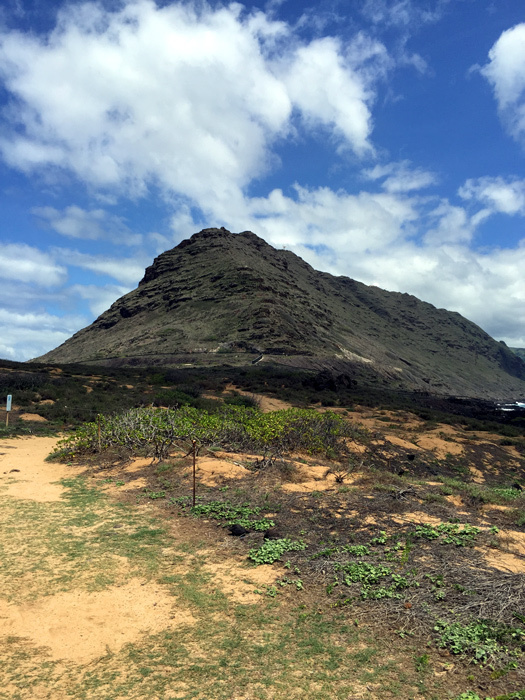 i wouldn't recommend this hike for young children (unless you know they are capable) because of the distance and heat. otherwise, be prepared to carry them! please be mindful of the animals. 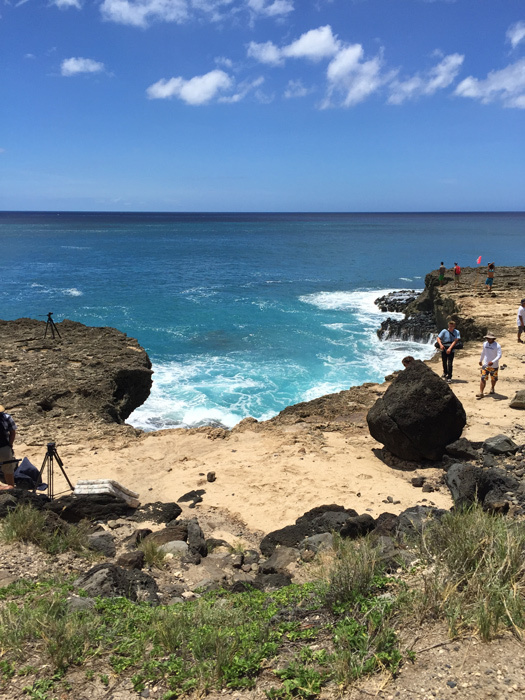 hawaiian monk seals and green sea turtles are endangered species. do not disturb them by keeping your distance; do not touch or feed them. 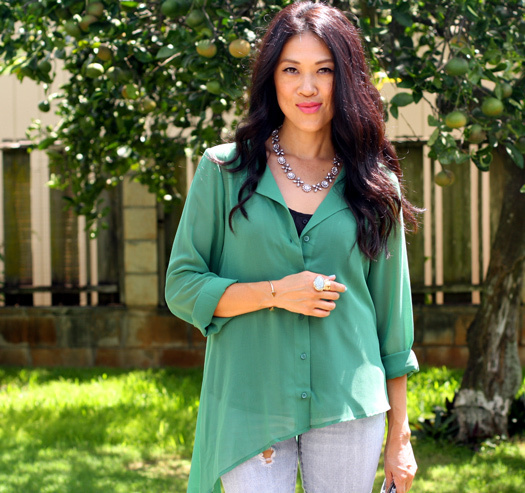 another great basic with oomph-worthy details...loving the asymmetrical hem on this green top from patty's closet. 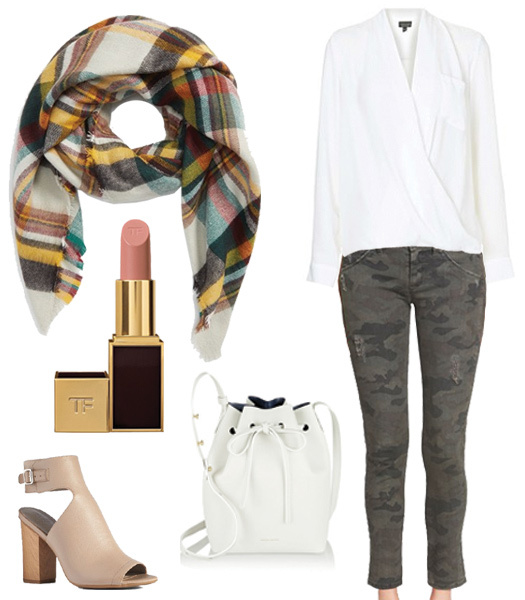 this fall is all about earthy, muted colors. while i usually love bold rich jewel tones for fall, these toned down colors make just as much of an impact with their soft and romantic vibe. a few pictures below from our adventures around the east side a couple weeks ago. it's currently pouring with flash flood warnings, and it's supposed to get worse throughout the day. tgif. what color will you be rocking this fall? 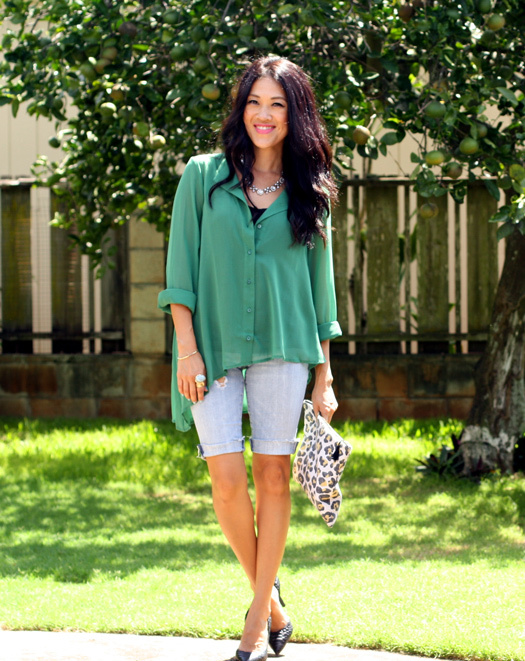 shop patty's closet hawaii locations and mention '808bloggers' for 20% off your purchase. there's no sign of fall weather here. 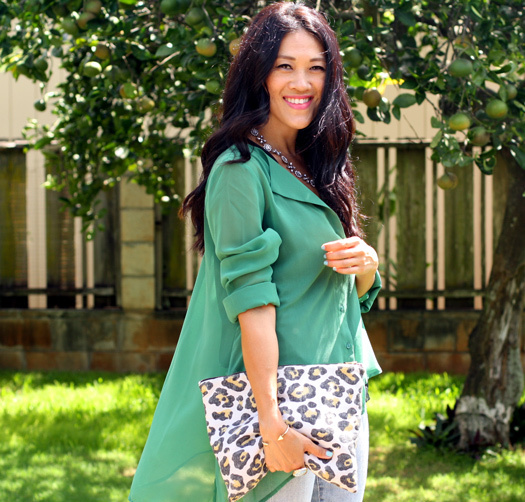 in fact, it's 90 degrees and humid...but i'm loving the earthy colors i'm seeing for fall 2015 fashion. 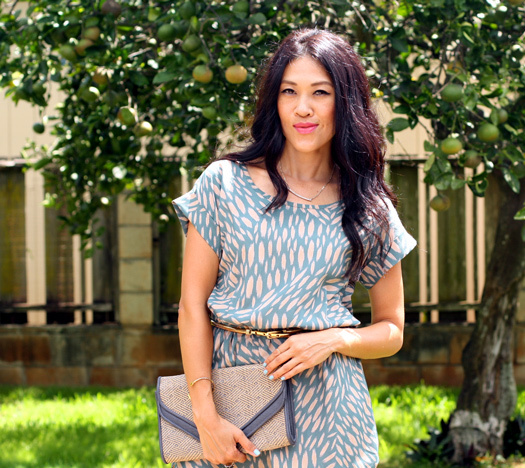 you can still wear all your favorite colors like blue, pink, and purple, but choose shades that are muted and toned down. this muted blue dress from patty's closet will transition nicely into fall...just add tights and boots when the weather gets cooler. are you loving pantone's fall colors? l to r: dried herb, desert sage, stormy weather, oak buff, marsala, biscay bay, reflecting pond, cadmium orange, cashmere rose, amethyst orchid. 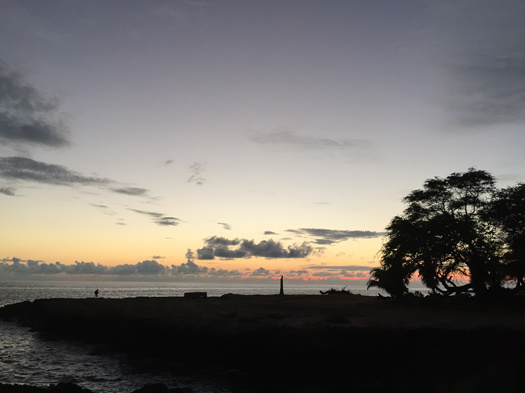 the aftermath of a beautiful sunset in nanakuli. an [oomph] review. 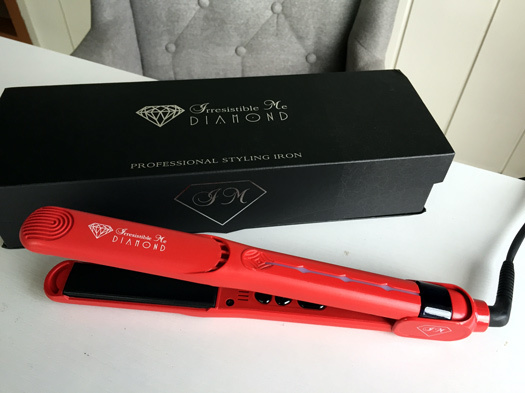 irresistible me diamond flat iron. we always want what we don't have. as a kid, i had stick-straight asian hair. wanting curly hair, i remember trying to perm it a few times. that didn't work. fast forward five years to intermediate school, and i now had slightly wavy hair with a bit of a frizz. now i wished it were straight. i've been ironing my hair ever since with either a curling iron or a flat iron. 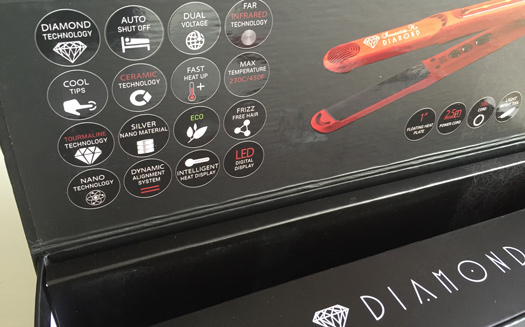 i was provided a Diamond Professional Flat Iron to review. its features and my thoughts are below. 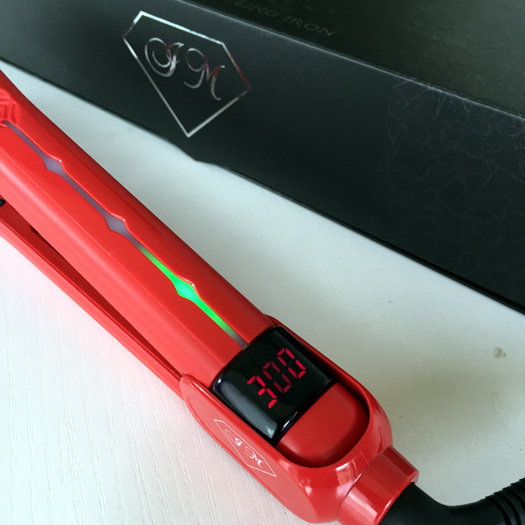 this next-generation flat iron uses diamond hi-tech which coats its ceramic plates with crushed diamonds mixed with tourmaline. it claims to protect hair by retaining oils and moisture, and will provide longer-lasting styling against humidity and stress. you can see the many features listed on the box above. - although the plates are smooth to the touch, it doesn't glide smoothly along the hair for some reason. i don't like my hair too flat, so using a mid-range heat setting of 350, i'm able to iron out the slight waves in my hair while keeping some volume. 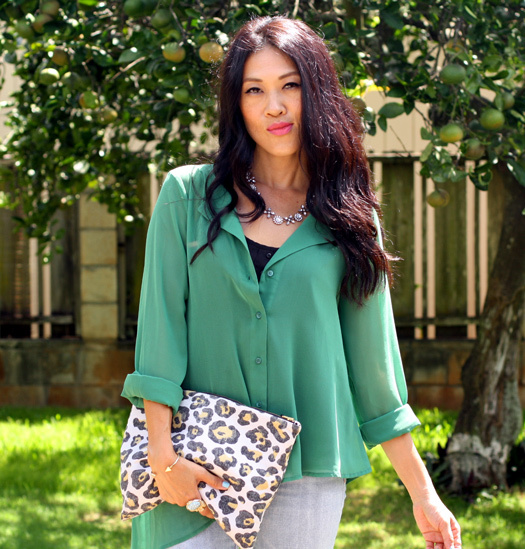 in terms of frizz, i didn't feel that it kept my hair frizz-free longer. it is extremely humid here, and some days i felt as though my hair frizzed out as soon as i went outside. 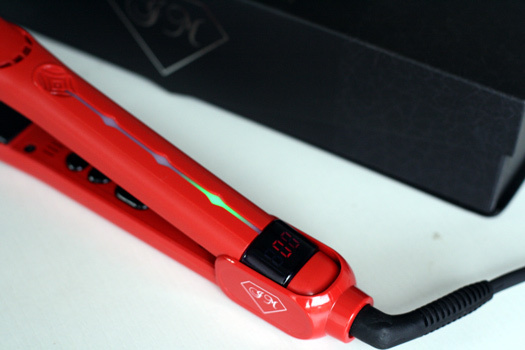 overall, i liked the diamond flat iron and would recommend it to others. 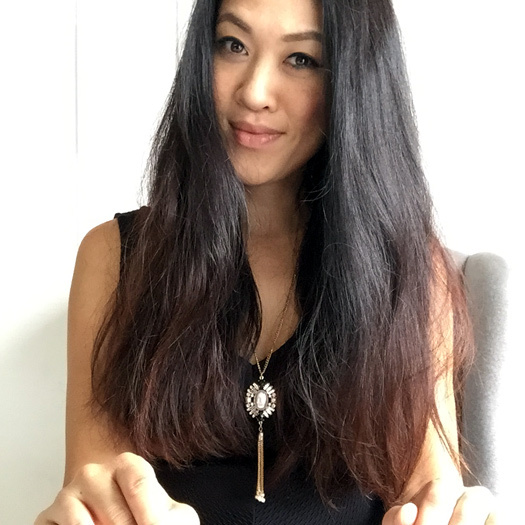 i can't say the diamond technology made my hair feel or look more shiny (compared to when using other flat irons), but it performed by straightening my hair. 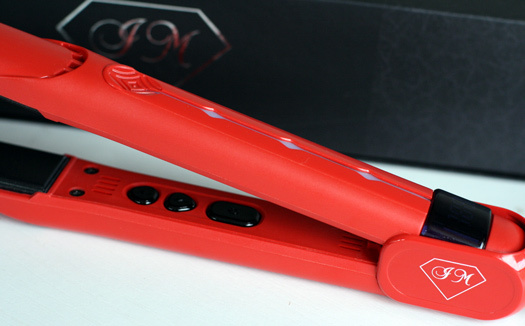 the diamond flat iron retails for $149 but is on (labor day) sale for $112!